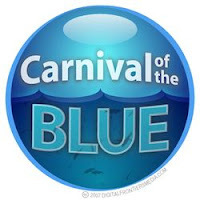 Carnival of the Blue 24 is now live at Sea Notes, the blog of the Monterey Bay Aquarium. This month's carnival features the best in ocean blogging from across the globe. My contribution this month is the NBC Nightly News story on the Marianas Trench Marine National Monument from two weeks ago.